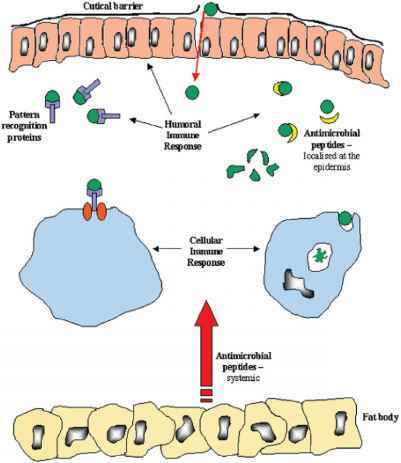 Figure 2.2 Host-pathogen interaction - players and processes. During the course of infection fungi interact with different host cells such as epithelial, endothelial, and immune system cells. This interaction is characterized by successive events at the cellular level. 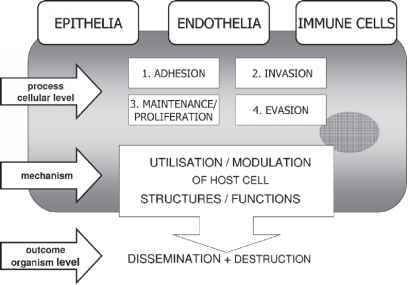 They include: adhesion (1), entrance (2), persistence or even proliferation inside (3), and finally exit from host cells (4). 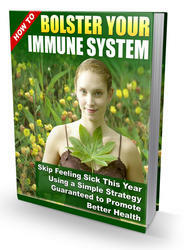 Pathogens contrive these steps by using and manipulating host cell structures and functions. Each of the processes can be crucial for the overall outcome of the interaction of the corresponding natural organs and ongoing advances in tissue engineering have progressed towards models of an organizational level that represents an intermediate stage between single cell type culture and organ culture. Apart from the fact that epithelial and EC form part of the host barriers they may play additional roles during the course of a fungal infection. In recent years it has been recognized that pathogens induce their own endocytosis upon interaction with these usually non-phagocytic cells. The possibility that epithelial and EC could serve as a reservoir for pathogens, which hide themselves intracellularly from the immune system is a matter of current research (for a recent review see Filler & Sheppard, 2006).